NO. 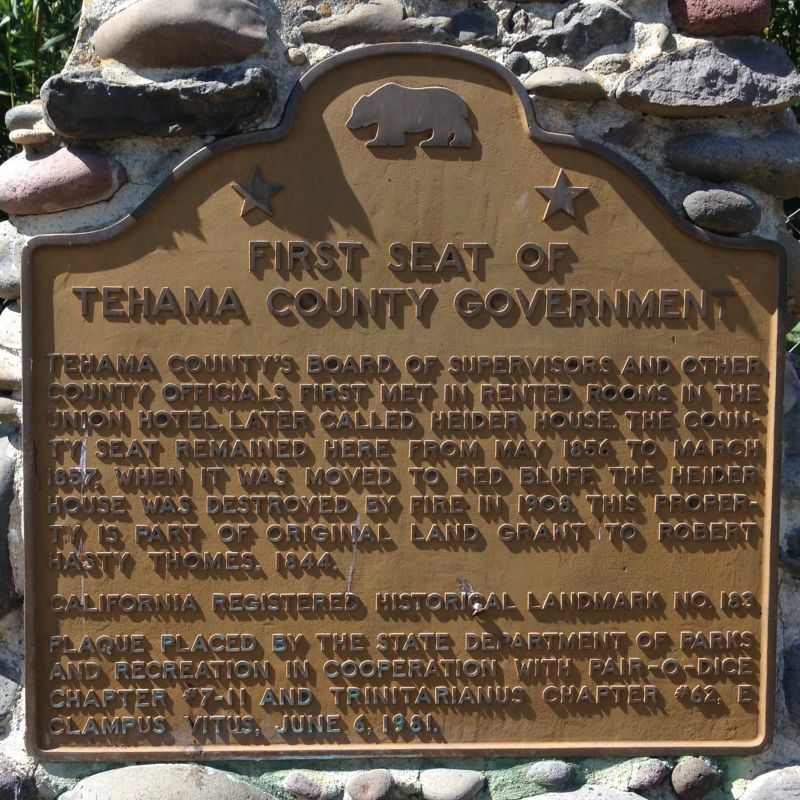 183 FIRST TEHAMA COUNTY COURTHOUSE - Tehama County's Board of Supervisors and other county officials first met in rented rooms in the Union Hotel, later called Heider House. 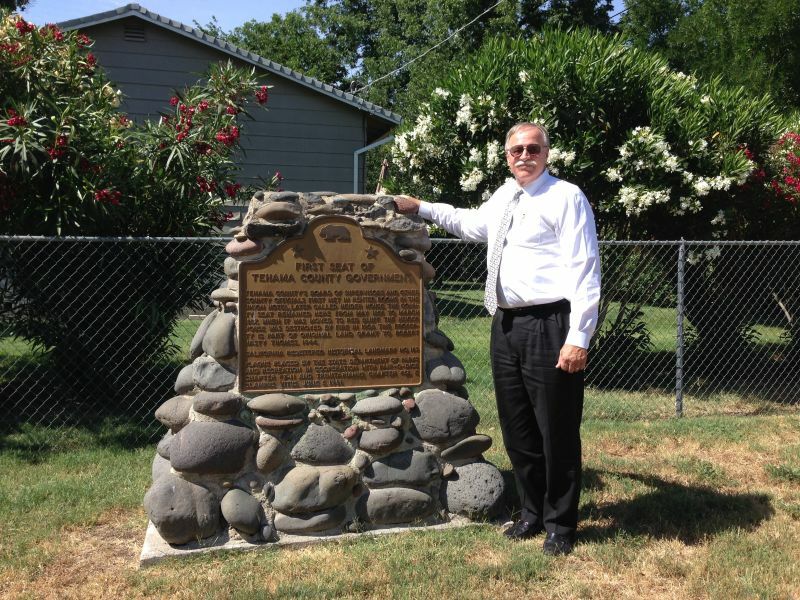 The county seat remained here from May 1856 to March 1857, when it was moved to Red Bluff. The Heider House was destroyed by fire in 1908. This property is part of original land grant to Robert Hasty Thomes, 1844.